We had a small but cheerful group of sketcher's at the Bourke Street Bakery, Surry Hills, yesterday for the World Wide Sketch Crawl. 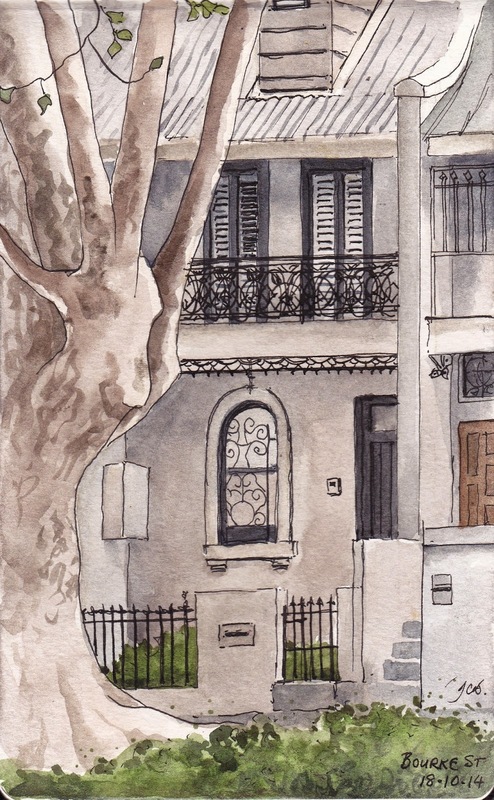 Last time we met there for our monthly Sydney Urban Sketchers meet it rained so we stayed under cover and drew our coffee cups, salt shakers or each other :-) This time we were able to sit on the bench seats and sketch the bakery or surrounding terrace houses. Lots of character and so many beautiful trees. The queues to the bakery were constant all morning - what a business that is! The terrace, left, was finished on location. 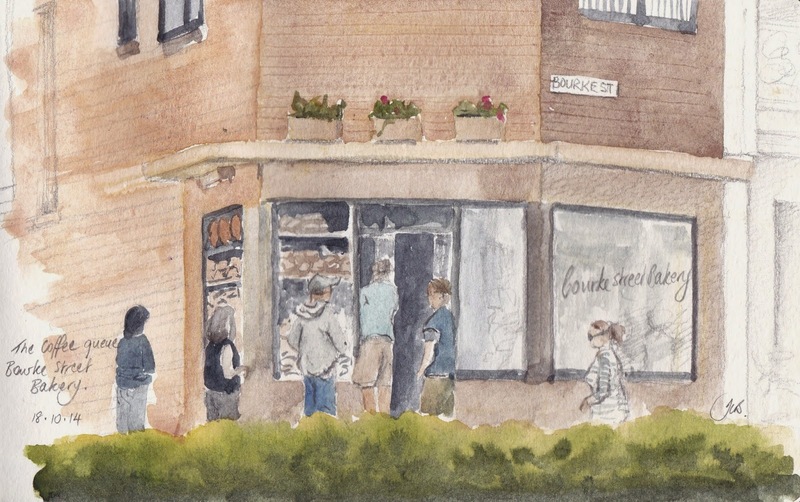 The Bakery was sketched on location with colour added later.